Our vision is to be the most sustainable protein company on earth. We believe with conviction that our growth strategies and leadership in sustainability will strategically differentiate the organization and create significant commercial value. Maple Leaf Foods Inc. (“Maple Leaf Foods”) is a producer of food products under leading brands including Maple Leaf®, Maple Leaf Prime®, Maple Leaf Natural Selections®, Schneiders®, Schneiders® Country Naturals®, Mina®, Greenfield Natural Meat Co.™, Lightlife™, Field Roast Grain Meat Co.™ and Swift®. 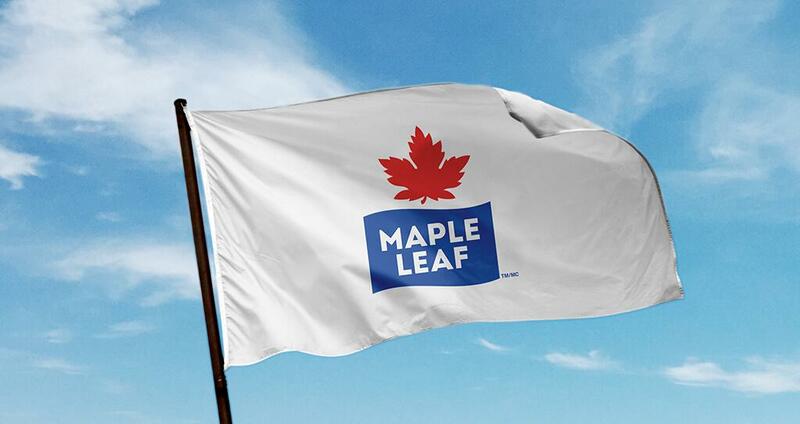 Maple Leaf Foods employs approximately 12,000 people and does business in Canada, the U.S. and Asia. The Company is headquartered in Mississauga, Ontario, and its shares trade on the Toronto Stock Exchange (MFI). Executing our goals with passion and discipline. Reinforcing high levels of integrity at all levels in the Company. Maple Leaf Foods is committed to providing up-to-date information on our financial performance and other disclosure in a timely manner. This section provides links to our quarterly results information, which includes news releases, financial reports, webcasts and conference call transcripts. You can also view interactive HTML versions of recent Maple Leaf Foods Annual Reports or download PDF versions in our archive. 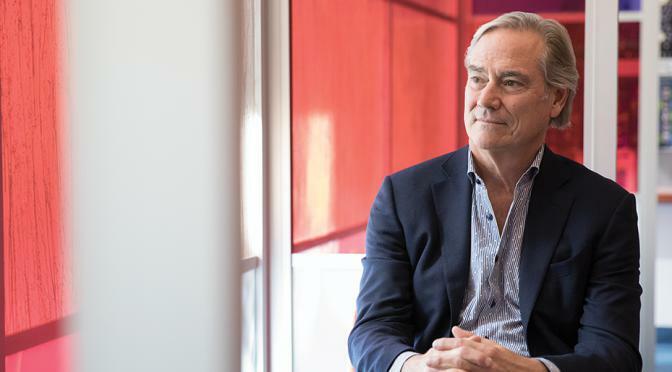 The Financial Review Annual Report option features our complete Management’s Discussion and Analysis and financial disclosure information, providing an in-depth analysis of our Company and performance. Search reports from previous years and access other documents in our Downloads. Maple Leaf Foods files its continuous disclosure documents with Canadian securities regulatory authorities. A full list of Company filings and other disclosure documents can be found on the SEDAR website at www.sedar.com. Filings on insider transactions related to the Company can be found at www.sedi.ca. Maple Leaf Foods makes no representations or warranties with respect to the information contained therein and takes no responsibility for supplementing, updating or correcting any such information. Read more about how Maple Leaf Foods will Raise the Good in Food. The following are presentations delivered by Company management to various shareholder and investor groups at recent events and conference calls. Click on the appropriate file to view slides in PDF format and hear remarks via webcast or MP3 format. Current stock performance, customizable charts and historical price lookup. Note: The stock price performance shown on the quote above is not necessarily indicative of future price performance. Changes in price and volume are subject to market activity. Pricing delayed 20 minutes. Maple Leaf Foods is currently followed by the analysts listed above. Please note that any opinions, estimates or forecasts made by these analysts regarding the Company’s performance are theirs alone and do not represent opinions, forecasts or predictions of Maple Leaf Foods or its management. Maple Leaf Foods does not by its reference above or distribution imply its endorsement of or concurrence with such information, conclusions or recommendations. The declaration and payment of quarterly dividends are made at the discretion of the Board of Directors. Dividends are normally paid on Maple Leaf Foods common stock on March 31, June 30, September 30 and December 31 (or the first preceding business day, if the end of the specified month falls on a weekend or holiday). The dividend of 11 cents (CDN) per share payable by Maple Leaf Foods Inc. on September 29, 2017 to shareholders of record at the close of business September 8, 2017 will be partially ineligible for the purposes of the “Enhanced Dividend Tax Credit System”. The ineligible portion of the dividend payment is 0.7779 cents (CDN) per share. The remaining portion of the dividend is eligible. The dividend of 11 cents (CDN) per share payable by Maple Leaf Foods Inc. on December 29, 2017 to shareholders of record at the close of business December 8, 2017 will be partially ineligible for the purposes of the “Enhanced Dividend Tax Credit System”. The ineligible portion of the dividend payment is 0.015709 cents (CDN) per share. If a shareholder has any questions about how these designations of the dividend payment will affect them personally, the shareholder should speak with their tax advisor. Our high level of integrity is reinforced at all levels in the Company. The Board of Directors and management are committed to maintaining a high standard of corporate governance to consistently earn the trust of our shareholders and other stakeholders. Board members are our corporate stewards and supervise management. They review and approve Maple Leaf Foods’ strategic planning, financial performance and reporting, organizational structure, risk management, and policies and procedures. They also oversee compliance and hold us accountable to our shareholders. All of the Board’s activities are for the purpose of preserving and enhancing the underlying value of the Company. We have created a culture of involvement for Board members to engage in hands-on experience to facilitate meaningful interaction and deeper insights into the business. 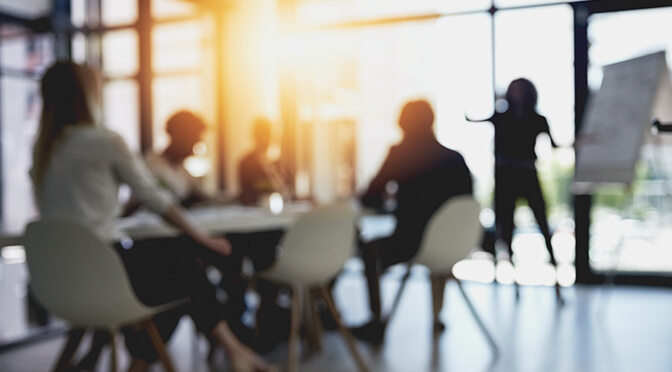 Our “Board Connect” program pairs a Director with a senior leader in our businesses to work together for a day, which allows for an open flow of information. Our Board has 10 members, of whom 8 are independent of the Company and management under the securities laws. Our independent directors are very experienced, high-calibre business leaders with diverse, relevant skills and competencies. The Board has a formal mandate setting out their responsibilities in the stewardship of the Company that includes the Board’s responsibilities for the appointment and development of management, strategic planning, monitoring of financial performance, financial reporting, risk management and oversight of the Corporation’s policies and procedures, communications and reporting, and compliance. The Board takes all steps to assure itself of the ethics and integrity of the Chief Executive Officer (“CEO”) and the executive officers and to ensure the appropriate ethical conduct procedures are established. The Board of Directors and the Company’s management are accountable to the shareholders. The roles of the Board, the CEO, the Chairman and the individual committees are clearly delineated. Corporate governance processes and practices are regularly assessed to ensure governance objectives are met. Management is led by the CEO, who is responsible for the development of long-term corporate strategy. The Board has clear guidelines to assist in meeting its corporate governance responsibilities. They review, question, validate and approve the strategies of each operating segment of the Company. While strategy development is continuous, the Board holds an annual meeting devoted to the Company’s long-term strategy. Every two years, the Board conducts an in-depth review of each business's operation, competitive positioning and strategy on a rotating basis. The Board receives annual reports from the Human Resources and Compensation Committee on management succession planning. President, Andover Capital Corporation and Northstar Scaffold Services Inc.
We are committed to the highest standards of respect and integrity in all of our business relationships and activities. These standards apply both internally and to business conducted with customers, suppliers, competitors and investors. The Board expects directors, officers and employees to act ethically at all times. The Code of Business Conduct Policy guides the standards of business conduct expected of all employees at Maple Leaf Foods. The actions of all our employees are framed by our Code of Business Conduct and our Leadership Values. Each year, every employee reaffirms in writing their adherence to the policy at the time of their performance review. Our Ethics Committee reviews and addresses issues of interpretation raised by employees and proposes changes to the Code. The Ethics Committee reports on its activities to the Corporate Governance Committee of the Board. In addition, Maple Leaf Foods has a whistle-blower hotline. EthicsLine provides employees with a way of raising concerns such as fraud, accounting irregularities, product tampering or other issues. All calls are recorded and logged at an independent call centre. They are all tracked and resolved using a case management system. All complainants are protected from reprisals when reporting concerns in good faith. The Audit Committee reviews reports on the calls and their resolution on a quarterly basis. The following is a list of frequently asked questions received from investors with regard to Maple Leaf Foods and its operations. Does Maple Leaf Foods provide earnings guidance? The Company does not provide earnings guidance. We consistently improve our disclosures to provide investors with detailed information to educate and help them understand our businesses and material factors that positively or negatively affect our financial performance. Where is Maple Leaf stock traded? On the Toronto Stock Exchange under the symbol MFI. How do I transfer shares, change my address or verify the number of shares I own? Contact Computershare Investor Services Inc. at 100 University Avenue, 8th Floor, Toronto, Ontario, M5J 2Y1. You may also phone 514-982-7555 or 1-800-564-6253 (toll-free North America) or email service@computershare.com. When is Maple Leaf’s fiscal year end? When are quarterly earnings released? Please check our Investor Calendar to see the dates of earnings releases and other key events. Which sell-side analysts cover the company? You can find a listing of analysts that cover Maple Leaf Foods under Analyst Coverage. Does Maple Leaf Foods pay dividends and, if so, when? Maple Leaf pays dividends four times a year, at the end of every fiscal quarter, to everyone who holds shares at the record date. For public and investor relations inquiries, you can contact us a number of ways. If you are a consumer and have an inquiry about one of our products, you can call us at 1-800-268-3708. For copies of the Company's annual and quarterly reports, Annual Information Form and other disclosure documents filed with regulatory authorities, these are available from the Secretary upon request. Please phone 905-285-5000.